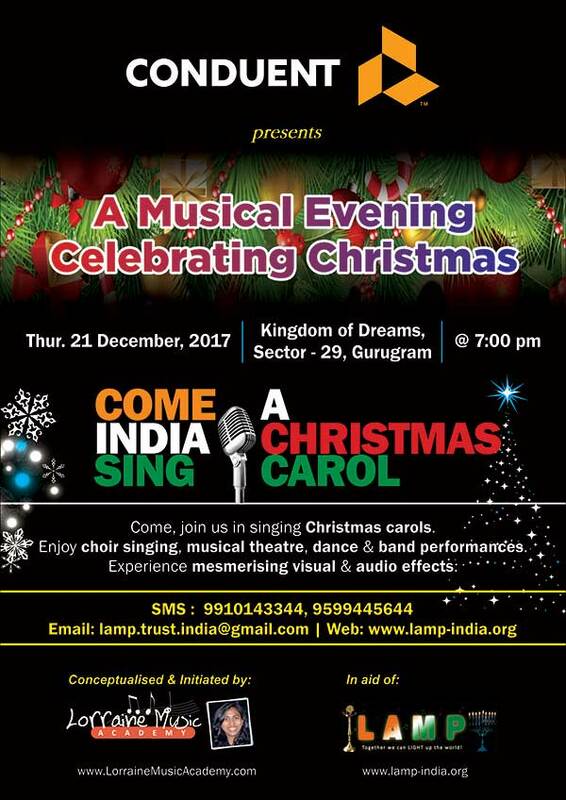 Wednesday, October 24, 2018 at 7:00 P.M.
Lorraine Music Academy and LAMP Trust will host A MUSICAL CELEBRATION OF CHRISTMAS – “COME INDIA SING A CHRISTMAS CAROL”, on the eve of Christmas on Thursday 21st December 2017 @ 7:00 pm at Kingdom of Dreams, Sector-29, Gurugram. 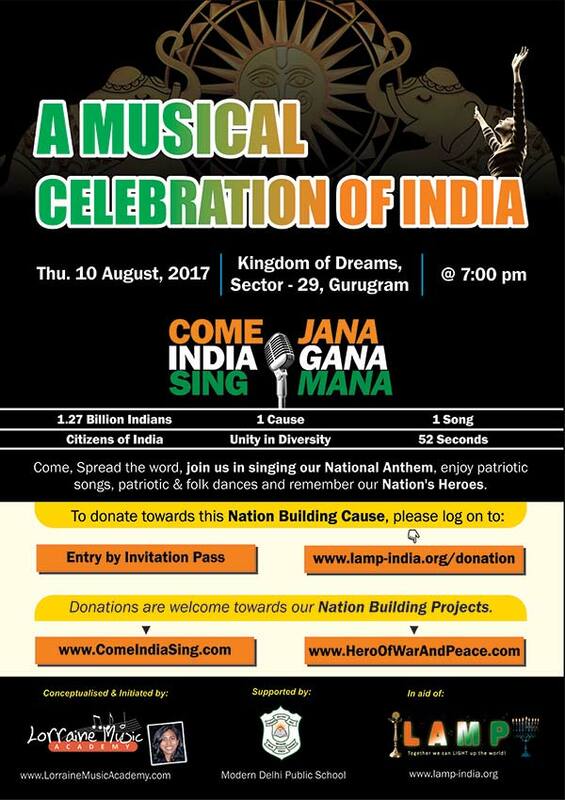 Date / Time: Thursday, August 10, 2017 at 7 P.M. 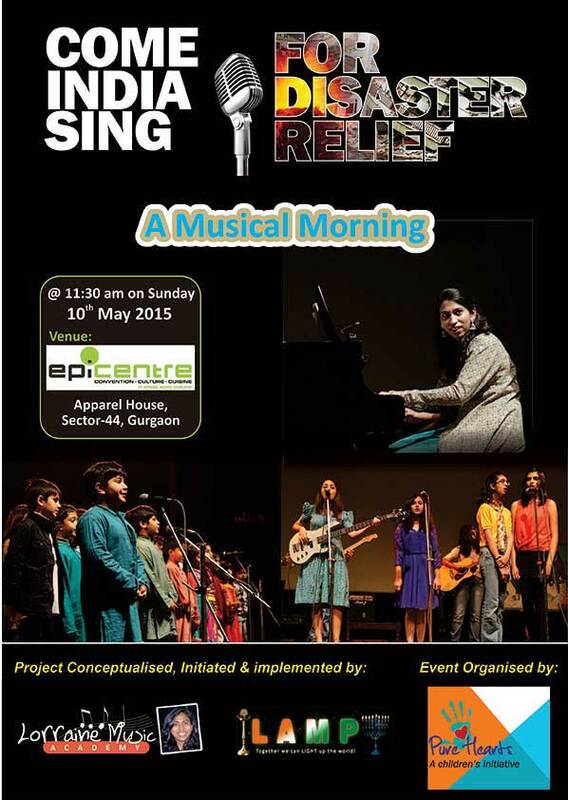 Date / Time: Sunday, May 10, 2015 at 11:30 A.M.
Place: Epicentre Auditorium, Apparel House, Sector-44, Gurgaon. 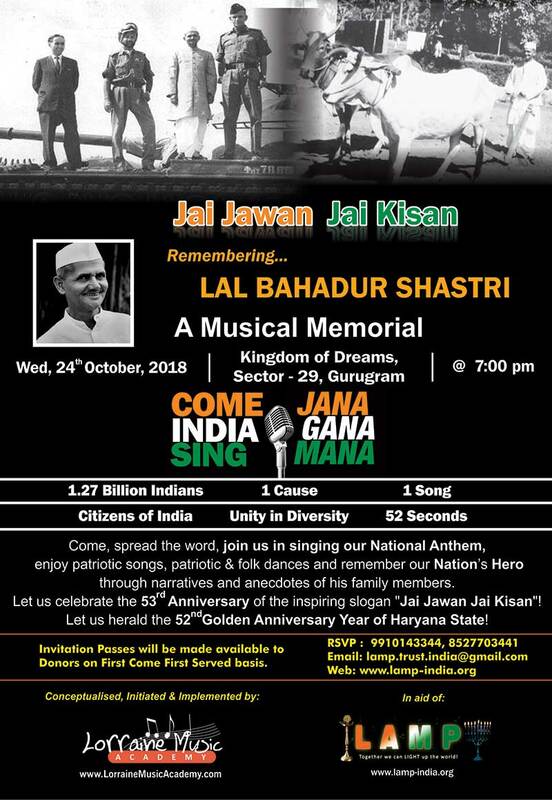 Lorraine Music Academy & the LAMP Trust recently launched “Come India Sing For Disaster Relief” – a musical initiative to raise awareness, sensitivity, resilience, resources and support for National Disaster Management & Relief work. 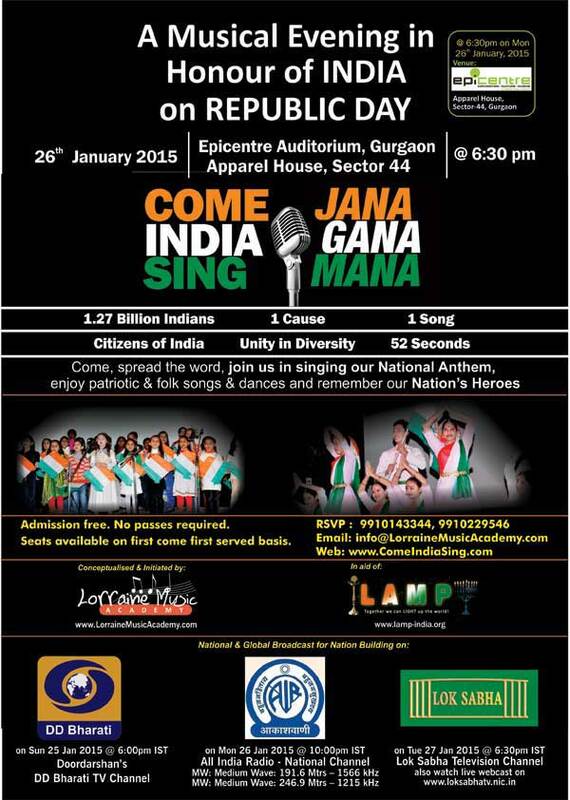 Date / Time: Monday, January 26, 2015 at 6:30 P.M. 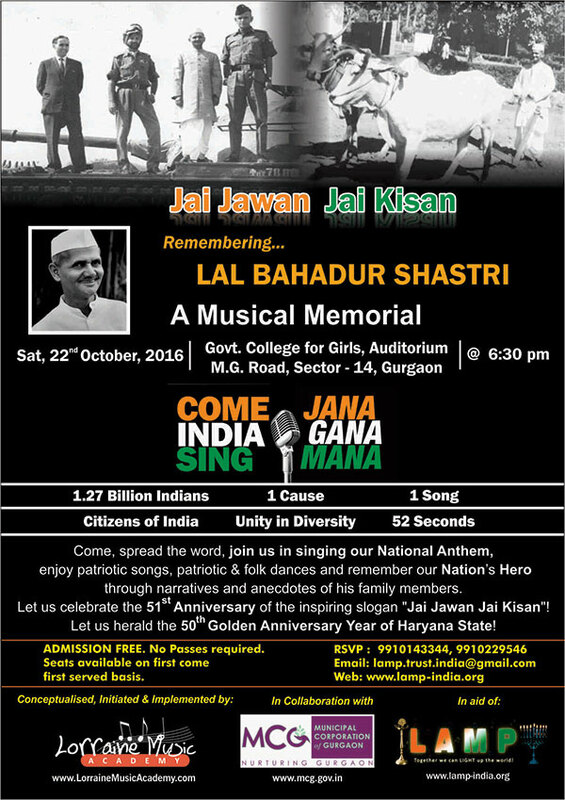 HEAVEN ON EARTH by Lorraine Music Academy! 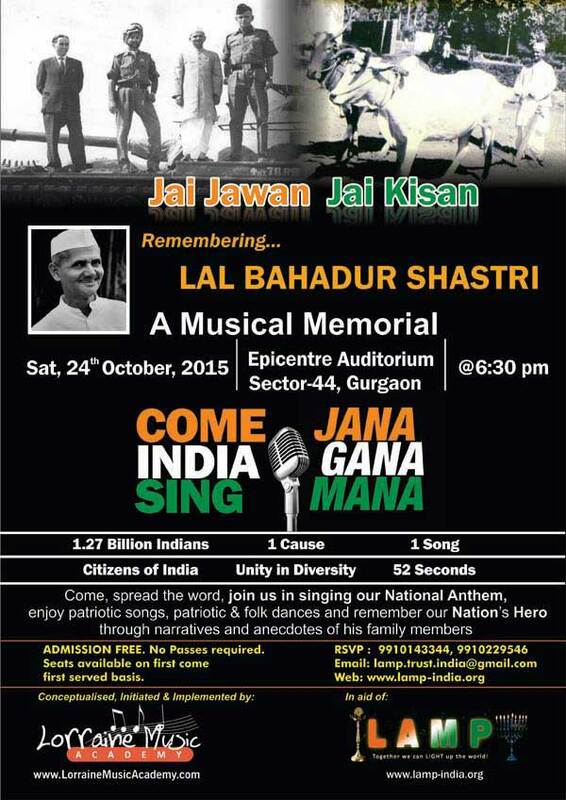 The concert held on Sunday 14th December 2014 @ 11am at Epicentre auditorium was like heaven on earth. 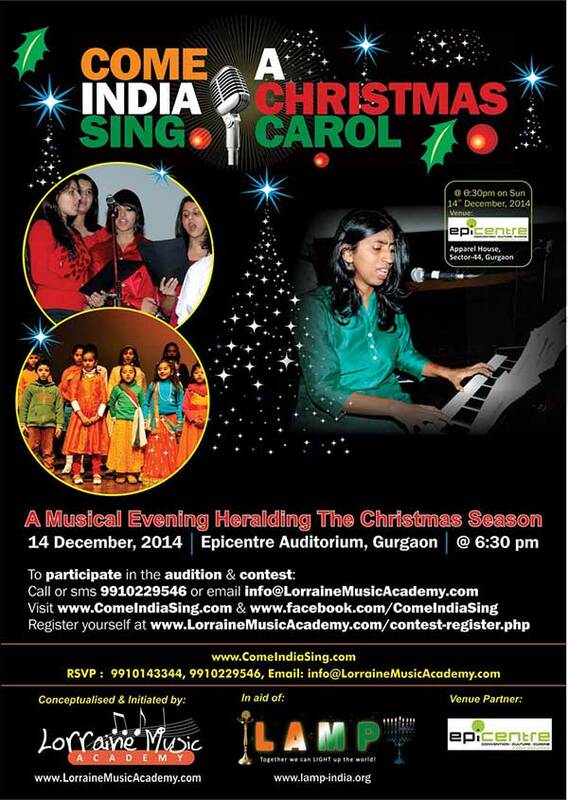 Around 60 students of Lorraine Music Academy participated in “A Musical Morning Heralding the Christmas Season – COME INDIA SING A CHRISTMAS CAROL” hosted by Lorraine Music Academy and LAMP Trust on Sunday 14th December 2014, at Epicentre Auditorium, Gurgaon.